Trudy Barber Arts: The Gosport War Memorial Daedalus Ward Project. This commission that I have titled 'Magic and Logic Flowering on the Same Tree' will comprise of seven paintings, each 48 X 40 X 4 inches. 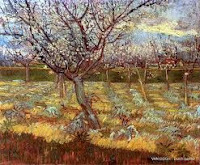 Four of which will feature the motif of an apple tree situated within four varying seasonal compositions; and three further works will feature compositions of seascapes and landscapes contextualising weather and the elements. The aim of the work is to provide visual narrative, texture and colour to the central corridor of the ward, with the objective of helping improve and stimulate discussion, and to help establish a cathartic focus in times of anxiety for inpatients. The work is to be used as a visual and therapeutic tool for staff when engaging with patients, whilst also enhancing the environment on the ward. 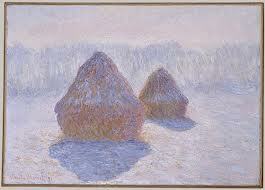 The work can also be used on promotional material such as cards or postcards to raise funds for the ward. 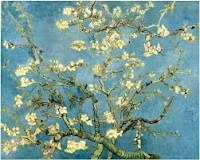 Inspiration for the theme, comes from both discussions with the Ward Staff, and research into seasonal motifs, along with a brief exploration into psychological, emotional and anxiety states. Inspiration is taken from artists such as Van Gogh for psychological states expressed through visual metaphor; Mondrian for composition and context; Cezanne for colour and texture; Monet for seasonal changes in tonal values; and Kitaj for drawing volume and motif in more contemporary settings . 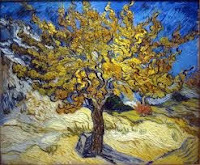 Work completed by Van Gogh during his time spent in hospital at Saint Paul-de-Mausole for his anxiety and depressive illness, also demonstrate the motif of the tree through different seasons as well as being a metaphor for his psychological state. Van Gogh – Blossoming Almond Tree; Olive Trees; Mulberry Tree . 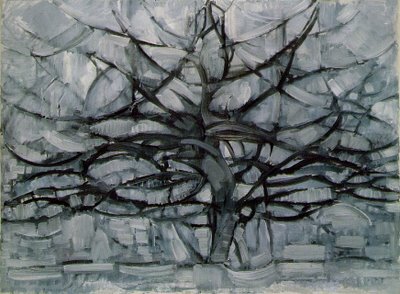 Mondrian takes the motif and appears to de construct the tree through this composition, enabling the incorporation of painterly textures within the ‘negative’ shapes between the branches. 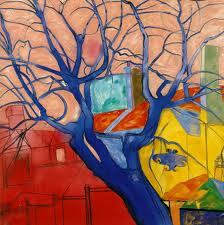 Mondrian 1912 Grey Tree. Oil on canvas. 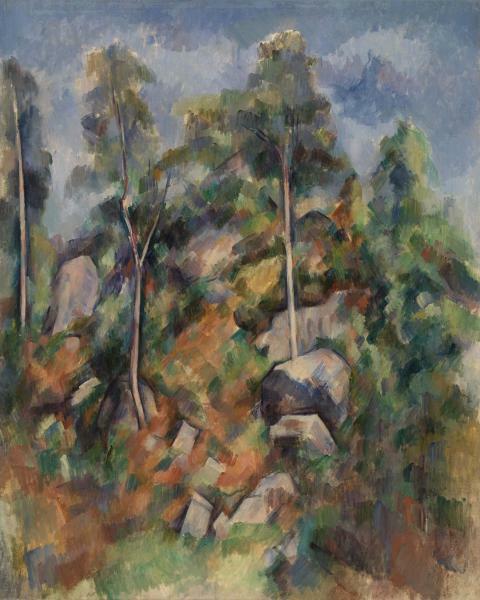 Cezanne uses subtle colours and textures to create the illusion of space, with complimentary hues for depth enabling a strong direction and pathway for the eye to be lead into the composition. Cezanne. 1904. Rocks and Trees. 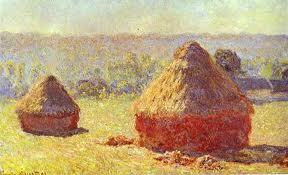 Monet, spent time studying colour during different seasons and at different times of the day demonstrating the impact of hot and cold colours on shape and form. Kitaj takes elements from all the paintings mentioned above and places them within a contemporary context with complex symmetry and blocks of colour. Kitaj 1991. The Oak Tree. All the work listed above will influence this commission and will develop a strong, textured sequence of paintings that will add value and content to the patient experience.